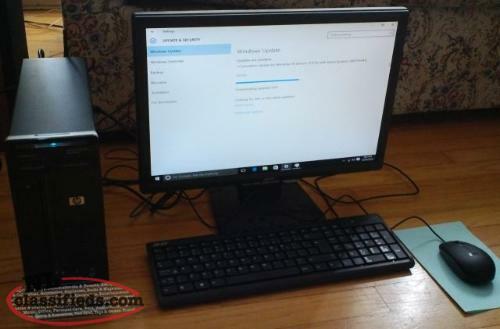 Complete Desktop Computer System with Computer, monitor, keyboard and mouse. Perfect for School or University student. Price is FIRM. 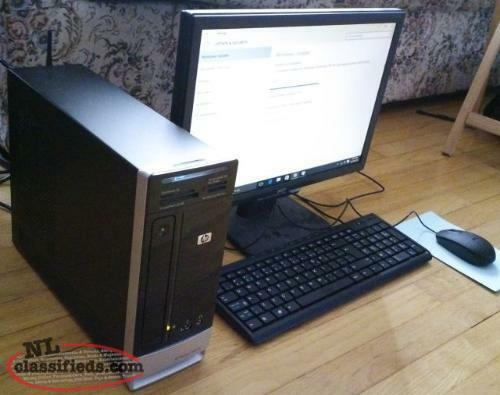 HP Slimline Desktop with Windows 10 - 64 bit, AMD dual Core 2.5 GHz Processor, 4 GB Memory, 320 GB HDD, DVD Super Drive, Built in WiFi, 5 USB ports, FireWire port, Monitor, keyboard and mouse. Also has built in Multi Type Memory card reader to transfer pictures from Digital Cameras. 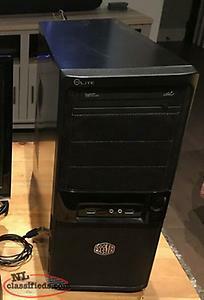 Perfect computer for family or student. 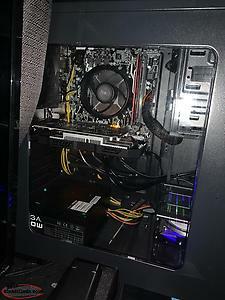 Small computer case unlike the big boxes most Desktop computers are. This one is small to put behind desk or hide out of the way. 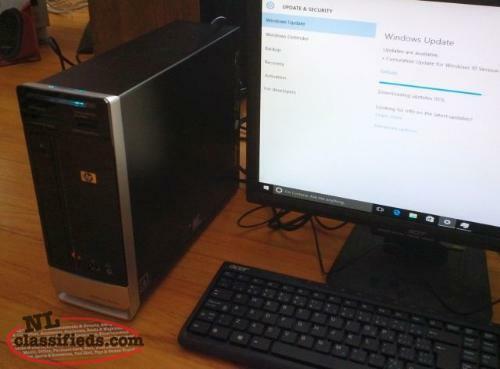 Hi, I'm interested in the 'Perfect Student's Computer HP Slimline Windows 10 AMD 2.5 GHz CPU, 4 GB Memory' posted on NL Classifieds! Please contact me if still available.